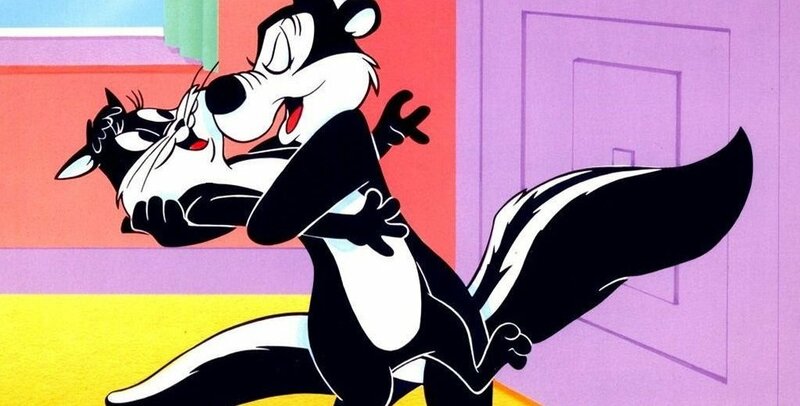 Home > French Blog > French Culture > Pépé Le Pew Italian??? Everyone is familiar with “Pépé Le Pew”, the wonderful French skunk caricature from Looney Tunes… but how does Pépé sound in France? I won’t get into why they ever chose a skunk to represent a French seducer ;-) but his French accent in the original version was hilarious. As you may or may not know, most of TV and movies seen in France is actually dubbed into French by professional voice actor and so when it comes to dubbing over an obvious French accent, it creates an interesting dilemma! Interestingly, his accent actually changed over time since at the beginning of his French TV career, Pépé actually was a parody of famous French singer/actor Yves Montand mixed in with some italian and spanish accents. I was unfortunately not able to find any clips of it to contrast it with his current voice. If you find one, let me know in the comments! If you want to learn some flirty opening lines in French, check out my article on how to ask someone out on a date in French.